"Sweet Psychedelic Orange"がこの度、The Penelopesの2006年のアルバム"Summerdew Avenue"とともに、東京のThisTime Recordsのオンラインショップにて取り扱い開始となりました! 6. This may be related to the question no.5. About the Leeds scene. Could you tell me the overall situation? The Leeds scene is very healthy and extremely competitive, loads of venues and hundreds of bands. Bands like Black Wire and Kaiser Chiefs have put Leeds guitar music back into the mainstream after a long lull. 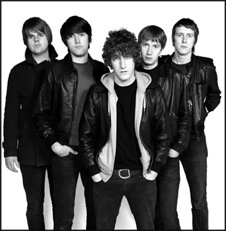 The Leeds band of the moment are The Pigeon Detectives. 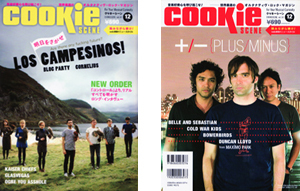 They blend The Strokes style guitar, with massive terrace chant style choruses. There are so many bands in Leeds now it's hard to keep up. Leeds is still known for its arty bands, for which there are still a horde of them gigging around. I prefer the new proletarian pop bands storming into the mainstream and the charts, making loads of cash in the process. The Kaiser Chiefs and The Pigeon Detectives have good pop tunes and a great sense of humour in their music. The other major star to come out of Leeds over the last few years is Corinne Bailey Rae. She has showcased a more soulful style for the sounds of Leeds. 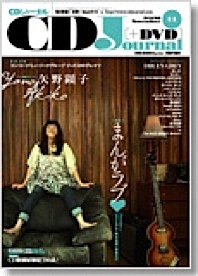 She creates great pop music, but in a chilled out summery fashion. The above bands/artists are from the mainstream, but my favourite Leeds bands are more rebellious, more tuneful, or extremely unlucky. 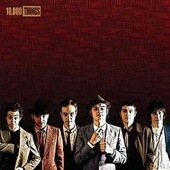 Travis and I used to really like rock 'n roll band 10,000 Things who were an awesome live band. They did manage to get an album out on a decent label, but unfortunately, they were savaged by the music press, and their label dropped them. 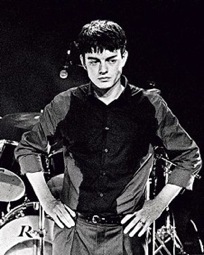 Sam Riley, the singer of The 10,000 Things, is now turning into a film star. He is the young man who played Ian Curtis in the recent biopic Control, to great reviews. It is strange how things work out sometimes. Another great Leeds band are The Terminals. They are an in yer face high energy pop punk rebel band who play with real flair, and have lots of catchy as hell tunes, great stuff. They feature former members of The Pale Saints and Edsel Auctioneer. The final Leeds band I must mention is the great mod beat band The Lost 45s UK who released an album on the Biff Bang Pow! label and put out several superb self-released singles. They recently split up, which is sad news, as they were fellow travellers of the mod pop furrow and they played a whole suite of superb songs. 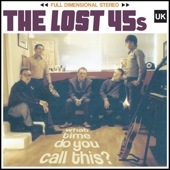 With former Lost 45 Nige currently playing bass for The Ace, and their drummer Davey Fairbrother helping us out loads in the past, The Ace have a strong connection to The Lost 45s UK. Hopefully they’ll get back together with loads of great new tunes, sometime in the future. 5. About the UK Mod scene. Are you concerned with the contemporary part of it? Is there any new movement that excites you? The UK mod scene is in a good health, with Rob Bailey's New Untouchables putting on loads of great events throughout London, the UK and Europe. 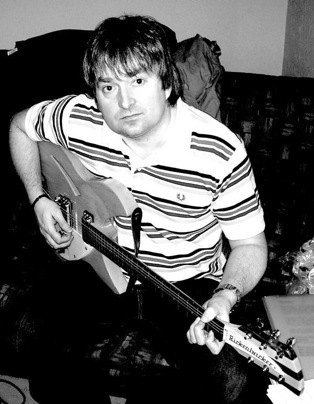 Obviously the broad mod umbrella includes lots of styles of music from blues R&B, northern soul, Hammond jazz, on to ska and reggae, and then to the noisier guitar styles of beat, pop art, freakbeat, power-pop, mod-garage, psyche-pop, modrevival, Britpop and retro sounding indie bands. There's a growth of old school modernism happening within the clubs, with R&B, soul and blues getting more popular, so folk can have a good dance to those classic sounds. There are lots of little scenes and promoters throughout towns and cities of Great Britain, so there is loads going on. In Leeds, there is the 25th Hour Collective who promote excellent mod events filled with R&B, soul, ska, latin, beat and funk for the discerning dancer in smart threads. 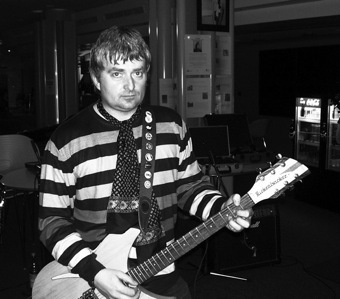 Then there's Brighton Beach at Leeds University, which is more proletarian in style, mixing up beat, garage, R&B, psyche, soul with modern indie and Britpop to lots of drunken students and some bemused smartly dressed mods. I think the current mod scene is dynamic with good times, classic tunes and dancing the night away. I think the gigging scene for mod/power-pop/garage bands outside of London is slightly more restricted. A band like us mainly plays on the pub circuit with all the other indie and rock bands, but we occasionally get invited to a mod, garage or power-pop themed night. If we wanted to play a mod/garage/power-pop night regularly, we'll have to organise it ourselves. My personal favourite scene in the UK has always been the guitar scene in Liverpool, modern Mersey-beat if you like. The bands from Liverpool seem to have great catchy songs written into their DNA. I have really liked recent bands like The Coral, The Bandits, The Pedantics, The Great North Western Hoboes, Free Peace, Candie Payne, The Zutons, as well as the classic Liverpool bands such as The La’s, The Stairs and Shack, great tunes galore. 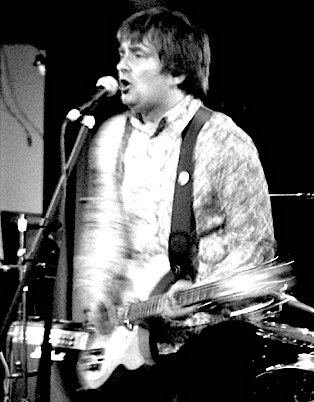 Travis of The Ace really digs a band called Dogs from London, who have supported Paul Weller in the past. They have that firebrand punky mod power-pop mayhem going on in their sound; like a collision of The Clash and The Jam, which Travis really likes. 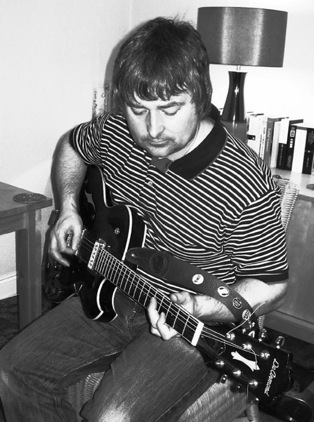 The most exciting region for producing great mod-garage bands is still the Medway region, with Graham Day And The Gaolers kicking out a great rampage of an album recently and the awesome The Len Price 3 who have loads of great tunes. The Len Price 3 are my favourite band of the last 5 years, catchy melodies galore, guitars with big chords and great harmonies. They are like The Who and The Kinks mixed with the Ramones and Beatles style harmonies, I proper love them. 3. It seems you are recording songs so frequently. Could you tell me the process of the recording? We record as much as we can, but in our perspective we don't really record enough, as we have plenty of songs. Our main limitation is cash, as with all bands, so we record when we have gathered enough money. Our first priority is trying to raise the cash. We work with Carl Rosamond at Billiard Room Studio is Leeds. Carl is a master sound engineer and he is superb at mixing; basically, he is a great bloke to be around when dealing with creativity and song. It is always great fun when we record with Carl, even when we're working hard. Travis and I have been recording with him since 1999. Carl is a busy live sound engineer and has been touring with various acts all over the world for the last few years, so we try to book him when he is back in Leeds. When we have the cash and Carl is around, we charge into the studio. We usually record, mix and master songs over one weekend, trying to put the songs down as quickly as possible. We limit ourselves to four songs within a session, as we've found we can just squeeze that many songs into the time we have and still get a great mix. In terms of picking songs, we democratically choose four songs from the pool of new material we have, then we go in, record them and hope for the best. We have recorded every which way with Carl over the years, from the keeping it real analogue reel to reel methods, to keeping it unreal with all out digital trickery. We're not purists, we'll use whatever method is the most efficient in getting the best sound for our songs in the time we have to record. 4. What do you always pay attention to in recording? Because your music usually seems to be categorized into Mod/Garage genre, but there's always some strong, catchy hook in your song, which sometimes tends to be forgotten in the genre. Are you conscious of it? I think it is the songs we choose rather than the way we record. We always try to vary the mood and style of our songs as much as possible. I think the only constant is that nearly all our songs are in the upbeat, keep it to the short type of tunes. When we record the more visceral garage numbers like our tunes Industrial Slit and Tonight, we try to put as many hooks in as possible, whether it be the chorus, certain riffs, big chords changes or a simple chuck berry style solo. Hopefully amongst the mayhem, there is enough melody to keep the ears listening. I think with a lot of the bands ploughing the mod or garage genre, they obsess over recreating various retro sounds, rather than actually concentrating on the song writing. Primitive or not, a crap song is a crap song, no matter how great the sound of the recording might be. To be honest, you never really know how a song will turn out until it is recorded, but some effort in putting together a solid verse and a catchy chorus can make all the difference. If you're clever enough, then you can do a middle bit. I think we try to concentrate on our songs in terms of simple song constructions, but with a maximum amount of energy, hooks, guitar riffs and licks, melodic bass lines, big rhythmical beats then we hope that the chorus is catchy enough. We try to vary the style and mood of our songs. New tunes Turn The World Upside Down, Gatso and Alright have a 70s influenced mod power-pop punk feel of The Jam and The Undertones, so that is a slight shift from our past 60s influences. Saying that, we have songs like Supernatural, Wings of Wax or Adamantine Sorceress of Ecstasy which are rooted in the whimsical jangly pop of the 60s, from the likes of The Byrds, The Beatles, the Searchers etc, we like to let those chiming guitars ring out. We also have a tune in the mid-60s mod style big chord crashing mod stomper SuperCool Super Cruel, a killer garage tune called Tonight, and a psychedelic pop song called Elysium Sky. I think varying the sounds of the guitars helps to create stylistic variation within our songs or so we hope. We try to adjust our guitar sounds in the studio, crunchy sounds, crashing chords, chiming guitars, dizzy fuzz, punchy distortions etc… these are like a paint palette of sound which can give a song its character. Also the way we try to sing a song hopefully will add to a tunes mood. A full on throat ripping train wreck of a vocal will suit the garage or punky numbers. A bouncy melodic voice goes well with the poppy songs. Overall, I think we mix up late 70s mod power-pop influences with the 60s obsessed mod garage sounds that we all really dig. 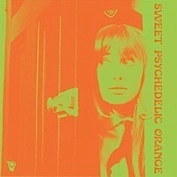 Various Rubbles, Nuggets, Pebbles, 60s mod garage psyche compilations. 1. Tell me about the history of The Ace. How did you get together? 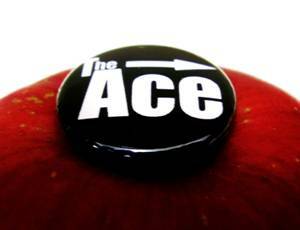 The Ace's origins stem back to the split in 2004 of the mod-garage band (Thee Mighty) Uptight that myself (Jonny Magus) and Travis were members of. The split was a sad moment, as all the band had given 6 years of hard work playing crazy mod garage. Travis and I decided to carry on playing, so we started putting together our next project, Freebooting Profiteers. Travis now swapped from playing Hammond organ to guitar, so this instantly started to shift the sound of our new band away from that of (Thee Mighty) Uptight. Along the way we recruited massive The Jam fan Jonny Fox on bass and Jefferson on drums. The Freebooting Profiteers added an extra dose of late 70s power-pop to the mod-garage sounds of our previous band, so we gigged and recorded for the next few years. We recorded enough songs for an album, received good reviews and gathered plenty of airplay from rock 'n roll radio shows throughout USA, Canada, France, UK, Spain and Australia. We even had a label interested in putting out the album and things were looking quite good until the summer of 2007, when mysteriously, Freebooting Profiteers fizzled out with a whimper, and we fractured apart. After a few months in the wilderness, we reconvened under a new band name ‘The Ace’ with myself (Jonny Magus), Jonny Fox, Travis and Davey Fairbrother, of Leeds mod beat band The Lost 45s UK, helping out on drums. After two rehearsals with this initial line-up, we played our first gig as The Ace, and it was a magnificent. We had decided to change our name to The Ace, to give ourselves a fresh start and a name that reflected our modish roots, but we did decide to continue playing the songs we wrote as Freebooting Profiteers, but now as The Ace. We are also in the process of writing plenty of new songs. 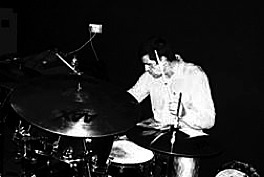 Eventually Andy Walton came along and joined The Ace on drums, so Dave could get back to his own band. This particular line-up of Jonny Magus, Jonny Fox, Andy Walton and Travis lasted about 8 months, in which we played quite a lot of gigs and recorded some more songs. Unfortunately, in the summer of 2008, Jonny Fox and Andy decided it was their time to leave the band, so Travis and I were back in the same position as we were at the end of (Thee Mighty) Uptight years. 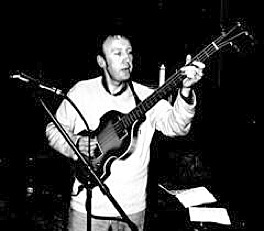 All was not lost though, Nige Spencer, a friend of Dave Fairbrother and member of The Lost 45 UK, is now playing bass for The Ace, which is great news, as Nige is a great song-writer, singer and a magnificent musician. 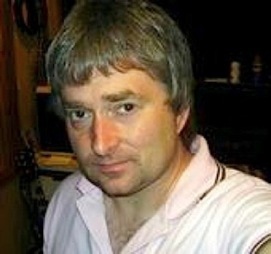 It also seems that things have come full circle as former (Thee Mighty) Uptight drumming loon Dynamite Daz Lee has come back into the fold, so Dynamite Daz is now playing drums for The Ace. Daz’s drumming is eccentric and extreme, all energy and fire, a totally demented style. With two such maverick musicians coming into the band, we’re starting to develop a more unhinged but exciting sound. The current line-up (Autumn 2008) is Jonny Magus (guitar/vocals), Travis (guitar/vocals), Nige Spencer (bass) and Dynamite Daz Lee (drums). 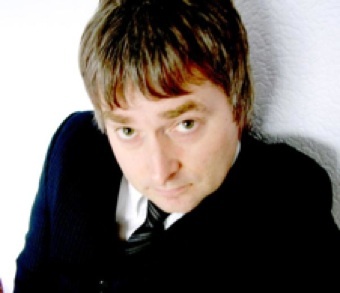 The strand between all the soap opera style comings and goings of musicians has been Dave Fairbrother of the late but very great Leeds mod band The Lost 45s UK, as he was the catalyst in getting The Ace motivated; and his constant help and advice has always been greatly appreciated. 01. The Ace "Adamantine Sorceress Of Ecstasy"
02. Monsieur Mo Rio "There Isn't Any Truth"
03. Santa Dog "Belle De Jour"
05. Age Of Jets "Beep Command"
06. The Music Lovers "Alan Lake"
08. The English Roundabout "Hallucinogenic London"
09. Paul Bevoir "His Number One Fan"
10. Wingdisk "Pink Snow (Space Mix) For Lil 8"
11. 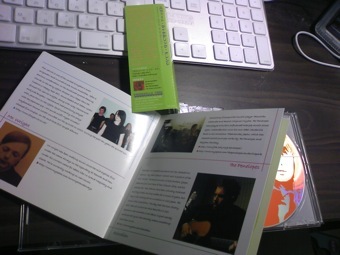 Fiel Garvie "The Palace Lights"
12.Mr.Wright "I Wish I Had A Girl Like You"
13. The Penelopes "Trick Of The Light"
14. Achordian "The Day That The Town Finally Died"
15. 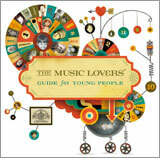 Rinaldi Sings "Julie Barber"
The Music Lovers "Guide For Young People" 国内盤リリース! !